As trusted sources of news, New Hampshire Center for Public Interest Journalism and its news website InDepthNH.org play vital roles in providing local and statewide news. Our purpose is to ensure that Granite Staters stay informed, and government remains accountable to our citizens. The non-profit center was created in 2015 in response to declining traditional media readership and viewership. With that decline, news organizations have cut staff and have been unable to provide broad news coverage. These days, they often take press releases and publish them verbatim, because they just don’t have the resources to do a real story. This is not journalism! The New Hampshire Center for Public Interest Journalism takes on those stories that other media no longer tackle. We investigate community issues, interview a variety of sources, and report with a balanced and non-biased perspective. We do the deep dive into issues and spend time following stories. And then, we openly share our stories, free of charge, with other media outlets. Across the country and in the wake of the digital disruption of news and declining trust in the media and tech platforms, there is an urgent need to redouble support for local and state news to ensure the non-profit journalism sector can fulfill its democratic mission. On November 1st, New Hampshire Center for Public Interest Journalism will participate in the NewsMatch2018 fundraising campaign. 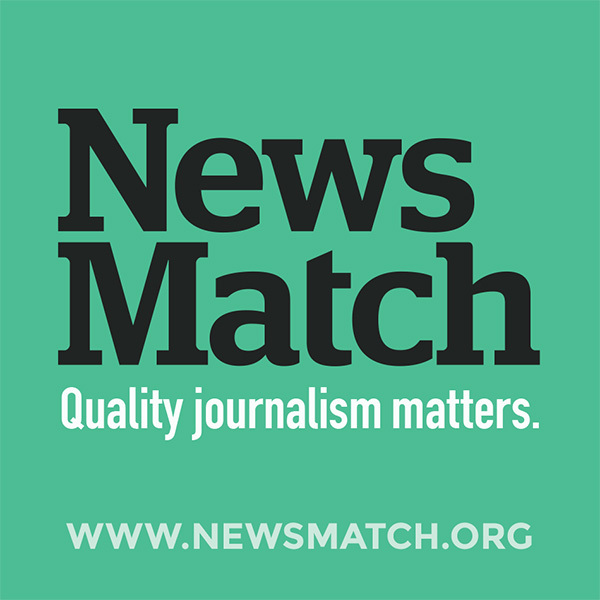 NewsMatch was created in 2017 when Democracy Fund, Ethics and Excellence in Journalism Foundation, the John S. and James L. Knight Foundation, and the John D. and Catherine T. MacArthur Foundation came together to match donated funds to non-profit journalism. Funds raised in our state will go to the New Hampshire Center for Public Interest Journalism so that we can continue to provide respected non-profit journalism. Provide a sustaining donation to the New Hampshire Center for Public Interest Journalism matching up to the $25,000 promised by NewsMatch2018 from Nov. 1 through Dec. 31. Encourage your employees to make a donation through the NewsMatch campaign starting Nov. 1 and sending this letter out in your newsletters. If your company provides matching funds for employees’ charitable giving, their donations will be tripled with NewsMatch. Challenge other companies in our state to match your donation to the center. We have a team in place ready to support you every step of the way. And, we will recognize your generosity by prominently posting your company’s logo on InDepthNH.org, as well as promoting your company and your gift through press releases and interviews at the local and national level. Together, we can make 2018 a record-setting year for donations to non-profit journalism. Won’t you join us? Please feel free to contact me directly with any comments or questions at nancywestnews@gmail.com, or by calling 603.738.5635. I appreciate your consideration and hope to have your partnership in advancing democracy through trusted, non-profit journalism.